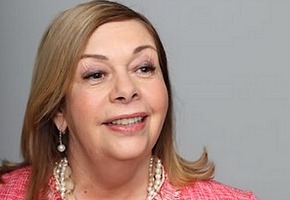 Respected television producer Sue Masters has re-joined SBS as the executive producer of drama. Her appointment follows the retirement of Caterina de Nave as commissioning editor of drama and comedy, TV and online, who followed Masters’ own term at SBS in 2008. Masters has a formidable record in Australian TV, including as a Drama exec at ABC and TEN, overseeing SeaChange, The Brides of Christ, The Circuit, The Secret Life of Us, Blackjack, The Surgeon, Wildside, Something in the Air, Mercury, Janus, Correlli, GP and Prisoner. Most recently she executive produced Serangoon Road, Miss Fisher’s Murder Mysteries and The Secret River for the ABC. “Sue will be a fantastic addition to the team and we are very much looking forward to having her on board to continue progressing our drama slate,” SBS Head of TV Tony Iffland told IF. Masters has also worked for US network HBO and produced a range of specials for comedy heavyweights including Robin Williams, Jay Leno, David Letterman and Steve Martin. She reports to Alison Sharman has Head of Commissioning for SBS ONE and SBS 2. Great now they just need to make some drama! I hope they give her enough money to do the great work she is undoubtedly qualified and experienced to do.